Cocoa, milkfat, nonfat milk, sugar, corn syrup, salt, buttermilk, whey, mono & diglycerides, guar gum, polysorbate 80, locust bean gum, carrageenan, vitamin A, palmitate. If you’re a chocolate lover, you know that there’s nothing more satisfying than indulging in a rich and decadent chocolate ice cream. It’s the one flavor that gives you pure satisfaction in every scoop. The silky smooth texture and intense flavor is enough to satisfy any craving. Our homemade style Chocolate ice cream is the perfect frozen treat to share special moments with your loved ones. There are very few flavors that are powerful enough to awaken your most cherished childhood memories. 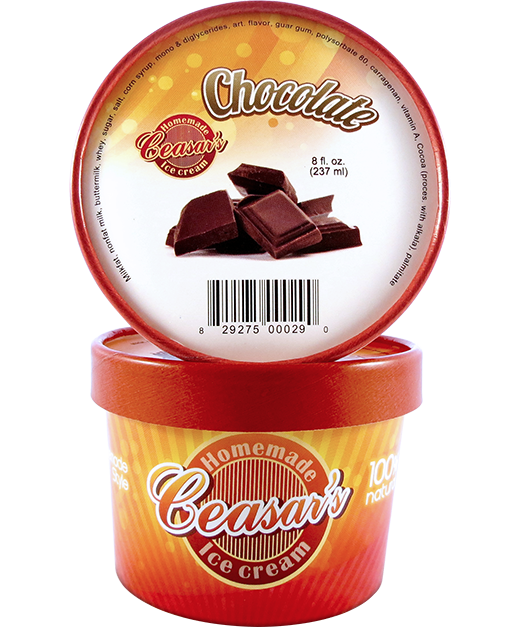 Whether you’re creating new memories, or reliving old ones, we invite you to laugh, enjoy and savor the pleasure of life and fill it with the creaminess of our Chocolate ice cream.